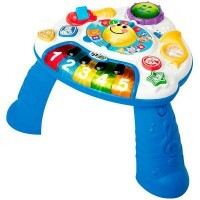 Play with your feet on this jungle themed floor piano that makes animal and musical instrument sounds. 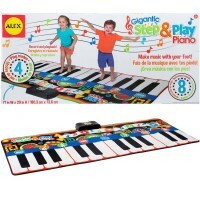 Lay the floor mat keyboard by Alex down, turn on the power and get ready to compose a sweet symphony. 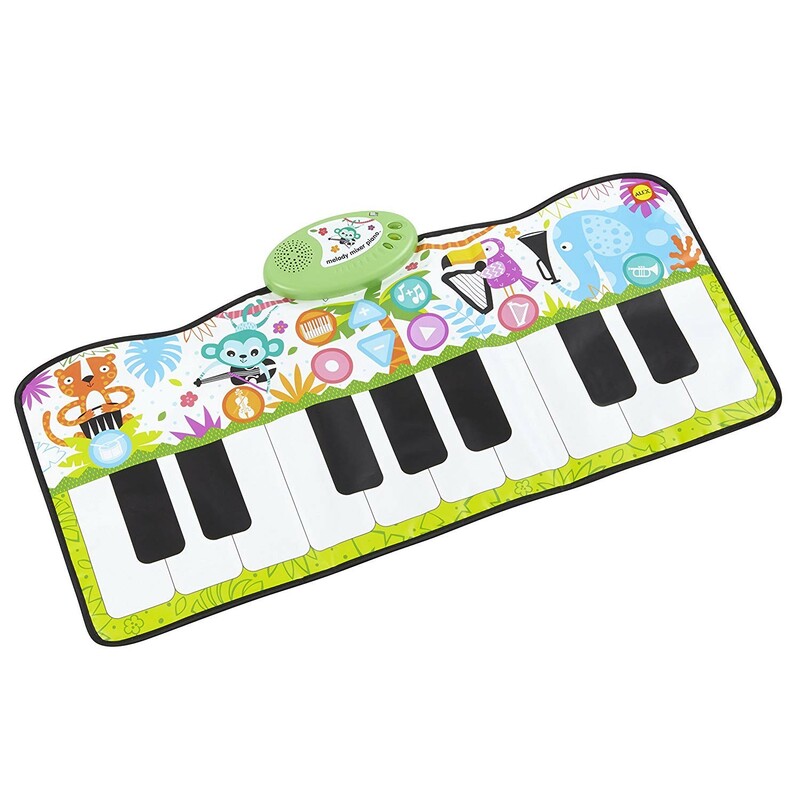 The jungle-themed keyboard makes 4 animal sounds and 5 instrument sounds, for a wild mix. 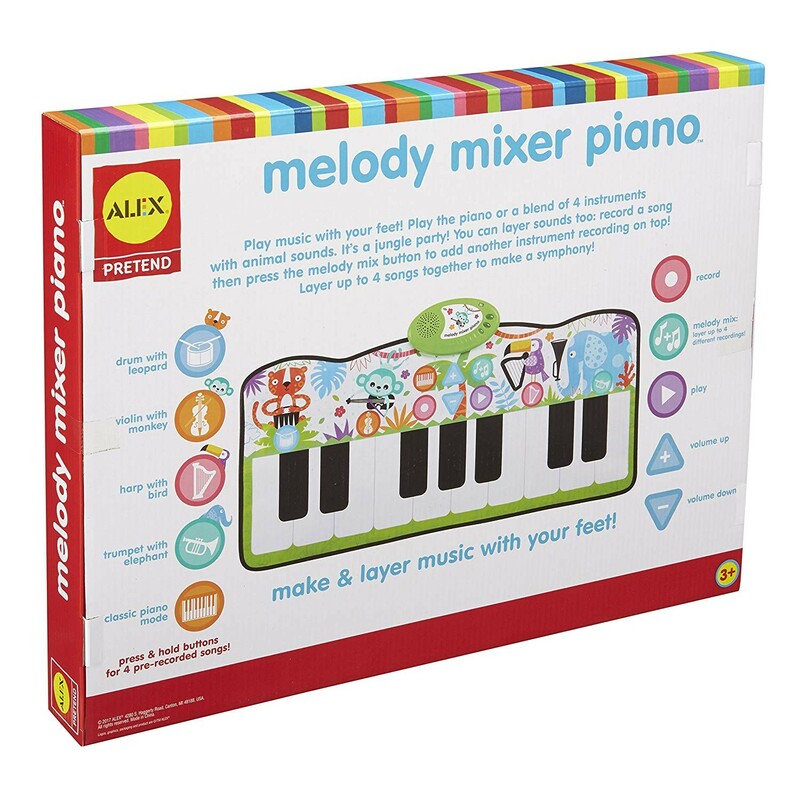 Layer sounds, pump the volume up and down, as well as record and playback your tracks. 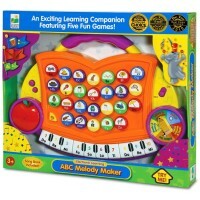 There’s even 4 pre-recorded songs for little kids who just want to dance. 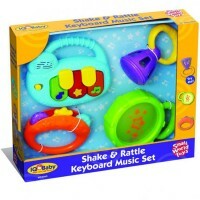 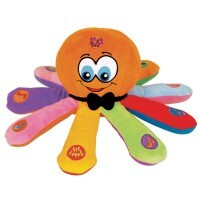 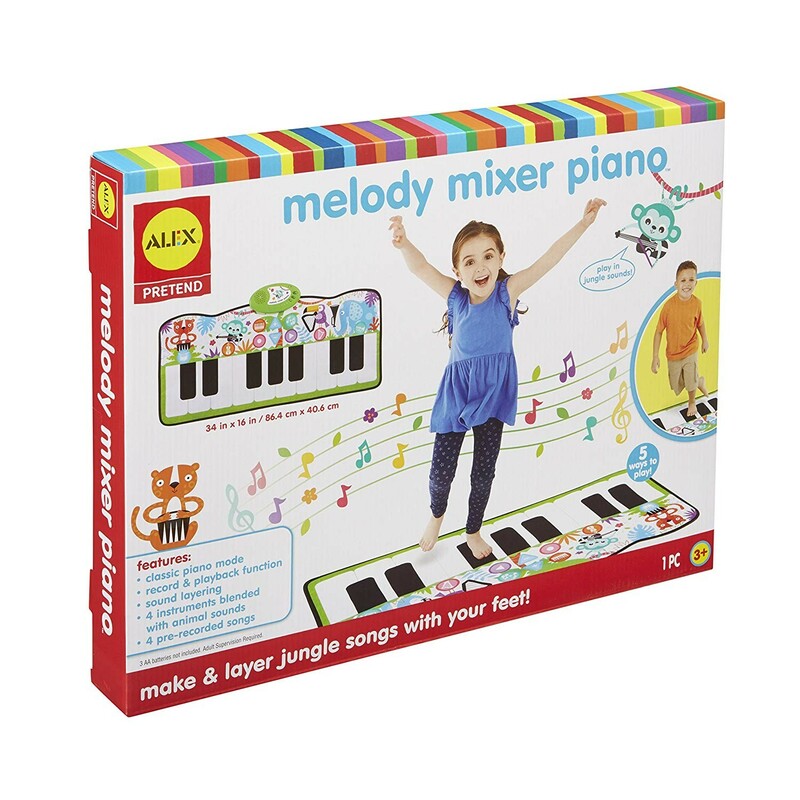 Melody Mixer Feet Playing Piano lets the kids record, mix and play music and animal sounds. 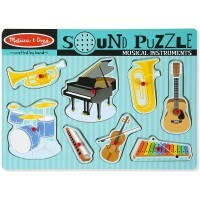 Musical Sounds: Piano, Drum, Harp, Violin and Trumpet. 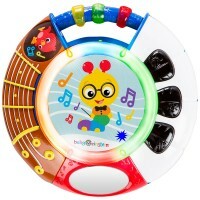 Animal Sounds: Tiger, Bird, Monkey and Elephant. 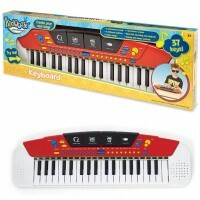 Keyboard measures 34 x 16 inches. 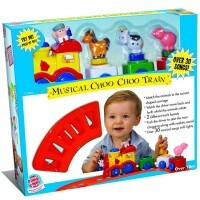 Requires 3 AA batteries (not included). 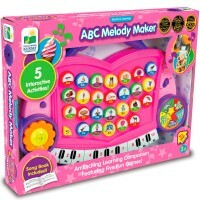 Dimensions of package 18" x 14" x 2"
Write your own review of Melody Mixer Feet Playing Piano.